Yesterday I was on a flight from Atlanta to Boston with several DragonCon attendees on it. How envious did their smug faces make me? So envious. 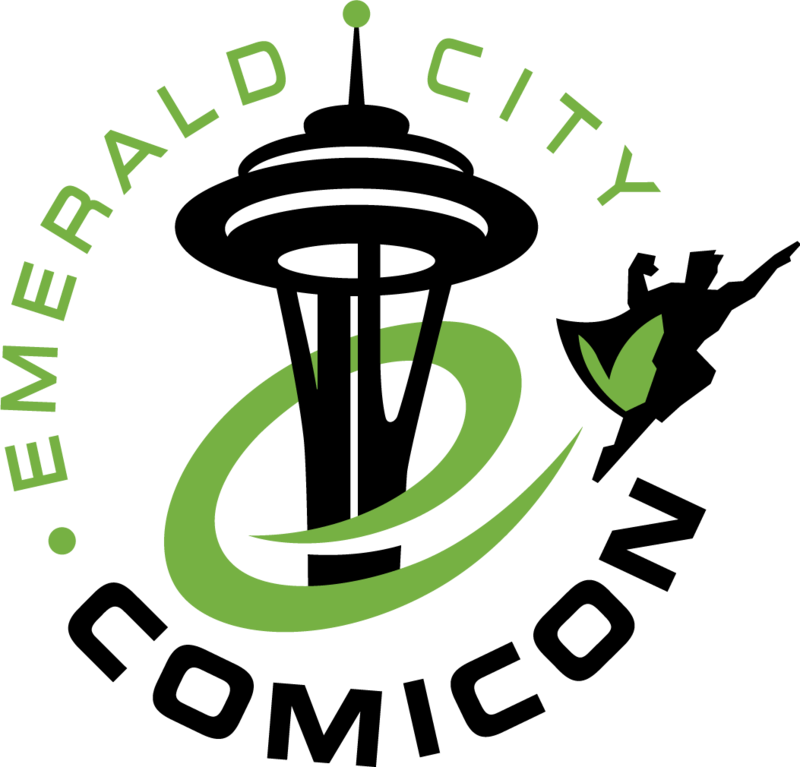 I've been in a Comic Con mood ever since - so I'm pretty excited to report that Emerald City has announced the date of their ticket sale, along with the types of passes available. How fast you need to be: 3-day passes were available for almost 2 months last year. However, the Deluxe passes went fast - like 3 minutes fast. I am not trying to instill panic here, just saying that you should come to terms with your priorities and be ready. First, remember that we're looking at an expanded 4 days of Emerald City magnificence. So yes, things are a bit different but not much. Let's look at the VIP packages. Special Access: $200. This seems a lot like last year's Deluxe package. First access to the Exhibit Hall, free t-shirt, exclusive variant comic, 15% discount at the merch store and 2 private autograph signings with comic guests. Celebrity Fast Pass Package: $295. Same as above (mostly) but also priority line access to photo ops and celebrity and voice talent autographs. No front row Main Hall seating, sorry. Now onto your burning questions: are the VIP tickets worth it? Well, you tell me. Do you want to be the first in the Exhibit Hall? Do you enjoy jumping lines? Then you may want to shell out for various upgrades. I'm not a photo op person, but other attendees told me they felt that benefit alone made the price tag worthwhile. However - if you can't snag one in time, I wouldn't feel that your ECCC experience will be irreparably damaged. You'll still get into your panels, still buy the sketch or comic book of your dreams. Of course, I know some of you Emerald City veterans will still be grumpy about tickets selling out so quickly. Last year taught me well how many ECCC natives resent the influx of SDCC attendees like me. (You can always tell the difference because San Diego attendees are just grateful to get a mostly guaranteed ticket without going through a mindscrambling lottery dominated by a spinning blue wheel. ) So - if that's you, grumble all you want but you should still be ready for action. Emerald City has reached an even higher profile in nerd world thanks to the ReedPOP takeover and its general awesomeness. I'm pretty sure this sale will reflect a higher demand. 23 September! Put an incredibly mandatory lunch hour life-saving appointment on your calendar and tell your boss, your spouse, your parents and your friends that you are not to be trifled with under ANY circumstances. Because if last year was any clue, the Special Access ticket will go the fastest. And while I think you'll have a little more breathing room with 4-day tickets, I think they'll still go faster than the 3-days did last year. ETA: If you didn't see this already, here's the list of last year's hotels. This is NOT for 2016, but it's a safe bet many of the hotels will be the same. 'Special Access' VIP is a ReedPop thing. I am disappointed though, because they are not offering an 'Ultimate Access' VIP which allows you to jump the lines or gives special seating in the main hall. ECCC used to offer such a pass, but took it away and hasn't brought it back. As of right now, there are no tickets of any kind that allow you to jump the line for panels... now *that* would be worth paying for. The other big ReedPop influence can be seen with their re-designed website (I miss the now absent News section) and on the limitations as to how many tickets can be purchased in one transaction. I noticed the limit on VIP tickets. Which is fine by me but I'm sure it frustrates groups and families. Same with line jumping... I'm fine getting ahead of everyone else onto the floor and not for panels, but I can see what a huge draw that would be. I wonder why they eliminated that option. They don't clear the room between panels on the main stage, so it's not as easy to give VIPS 'first access'. The way they used to do it was have a roped off section front and center for VIPs only, and monitor it with security, but I guess they felt it was too much trouble. That's too bad. Though I can't imagine how stiff the competition would be for badges.